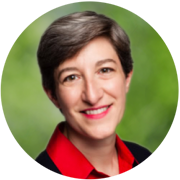 Alida Zweidler-McKay is a Leadership and Team Coach/Consultant for MCG Partners, a women-owned consultancy specializing in leadership and talent optimization. Alida has been a consultant and coach for over 20 years, working with clients at all levels of leadership in organizations ranging from Fortune 10 companies to small businesses and academic institutions. As a coach, Alida helps leaders develop executive presence and communications skills, and advises them in team building, performance management, change management and conflict resolution. Alida is an expert facilitator, designing custom workshops that help teams surface, explore and resolve difficult issues. Her prior experience includes working as a Research Associate at Harvard Business School where she developed a case study with Rosabeth Moss Kanter to illustrate challenges of leading change in dynamic and evolving market conditions. Alida is certified in the Predictive Index® (PI®), SAVI® Communications, the Power + Systems Organizational Workshop, and Personify Leadership®. She is a Certified Master Coder for SAVI® (the System for Verbal Interaction), which is a research tool for analyzing communication patterns in groups. Alida’s industry areas of expertise include Oil & Gas, Chemical, Consumer Products, Automotive, Pharmaceuticals, Academic Medicine, and Non-profit organizations. She is an active member of the Systems-Centered® Training and Research Institute, and former president of the Houston Organization Development Network. She has presented at numerous conferences, including the Boston Business Women’s Conference, the Houston Association for Talent Development Annual Conference, the American Group Psychotherapy Association, the International Society for the Psychoanalytic Study of Organizations and the Systems-Centered® Training Annual Conference. She earned her Bachelor of Arts from Swarthmore College and her Master of Business Administration from the Wharton School at the University of Pennsylvania.